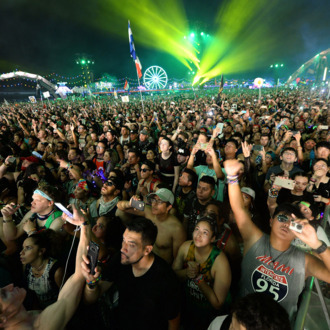 The father of Nicholas Tom, a 24-year-old who died of a seizure resulting from taking ecstasy at the 2015 Electric Daisy Carnival (EDC), is now suing the Las Vegas festival for negligence. According to TMZ, Terry Tom claims the festival did not have the proper medical services to treat his son prior to his death. Friends of Nicholas’s say it took them 30 minutes to find a medical tent, where staff were allegedly unprepared to give him medical attention and did not have enough water available in the 110-degree heat. Tom is suing EDC’s promoter Live Nation and the festival’s founder for wrongful death and negligence, claiming that at least one person has died at EDC events every year since 2006. In 2012, EDC settled another lawsuit with the family of Sasha Rodriquez, an underage teenager who died of an ecstasy overdose at EDC 2010, when the festival was still held in Los Angeles. At this year’s festival, held last weekend, a 35-year-old attendee died and 1,000 others were treated; a cause of death is being investigated.